Deleting hidden folders and files from your computer is the same as removing any other, except that you need to enable their display in the settings Windows. Open control panel and select the menu item "folder options". In the window that appears, go to the second settings tab called "View". Scroll to the end and in one of the last positions tick "Show hidden files and folders". Here check the box "Show hidden system folders". This will allow you to access system directories that are hidden from users in order to safeguard data stored in them. If you do not have sufficient skills to work with them, do not enable their display in the system. Apply and save the changes. Here you can change other settings for the folders your operating system, for example, to set the visibility of file extensions, change settings, preview settings, folders, and many others. 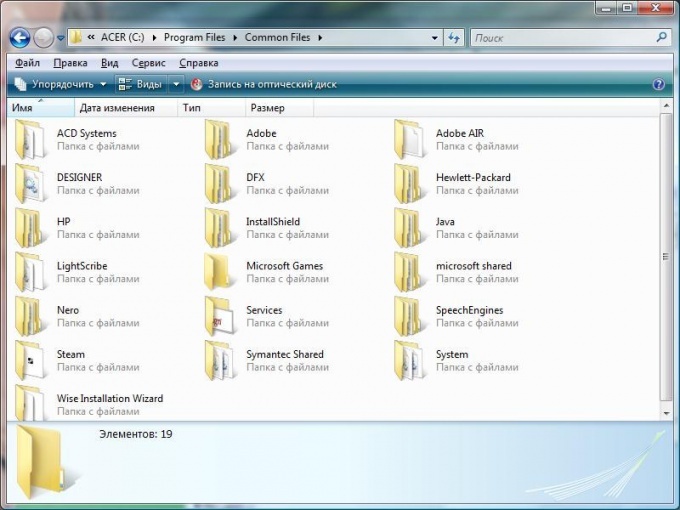 The adjacent tab is responsible for the Association files of different extensions with applications, after which any registered file type can be opened specially defined for this program at the request of the user. Also here you can adjust other settings concerning the appearance of folders and files in the operating system. Please note that changes will only be available for current Windows user. Go to the directory that contains hidden folders and files you want to delete. Select them with click and delete in the usual manner, for example, when you press Delete or Shift+Delete if you want delete them forever without the possibility of recovery from the recycle bin. If some of the hidden elements cannot be deleted, uncheck the attribute "read-Only" in its properties. If you want to make hidden files or folders visible, select them and pressing the right mouse button, click "Properties". Uncheck the "Hidden" attribute. Apply and save the changes.